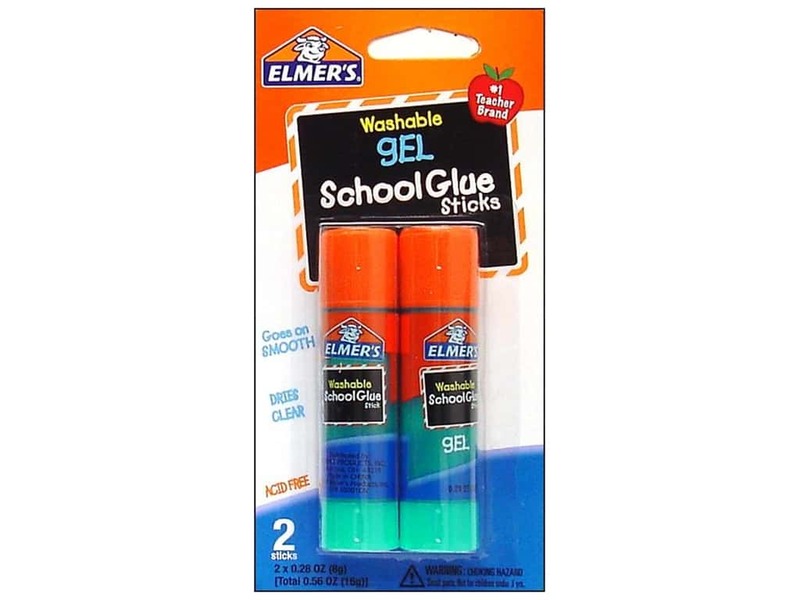 Description: Elmer's Gel School Glue Sticks dries clear and creates a strong, permanent bond. Great for kids on school projects, decorations, artwork, fabric projects and paper crafts. Washable, acid free, photo safe, and non-toxic Each glue stick is 0.28 oz. 2 pc.